Regret is my least favorite emotion. Grief is terrible too, of course, but at least I can take action with my grief and sob when I need to. With regret, I feel so helpless, with no action to take, unless I learn how to build a time machine. But then I read this wise quote from a wise human being and I have compassion for myself, easing my regret because I’m reminded that I do learn from my mistakes. And that making mistakes is honorable, dammit! 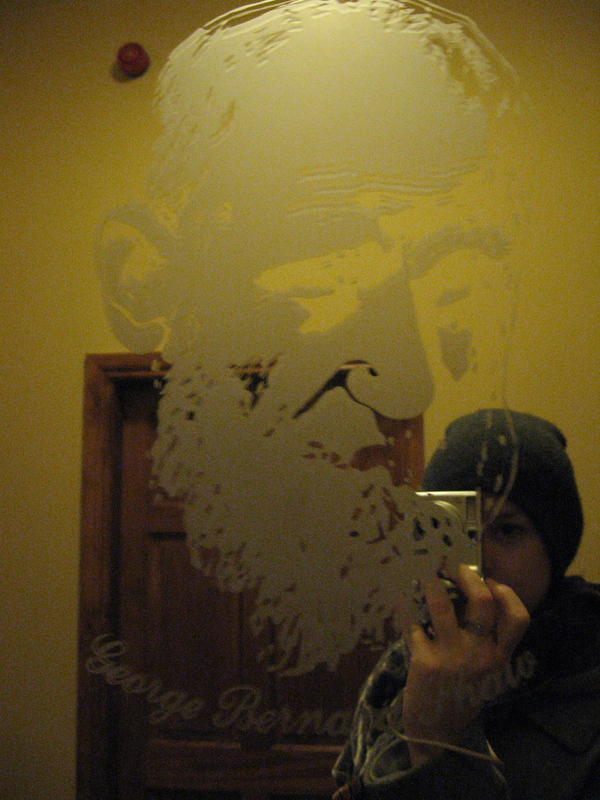 Here is a self-portrait of me and Shaw in a mirror of an Ireland pub.